What can we say after seeing the picture of the mountains this last week?….predators win! 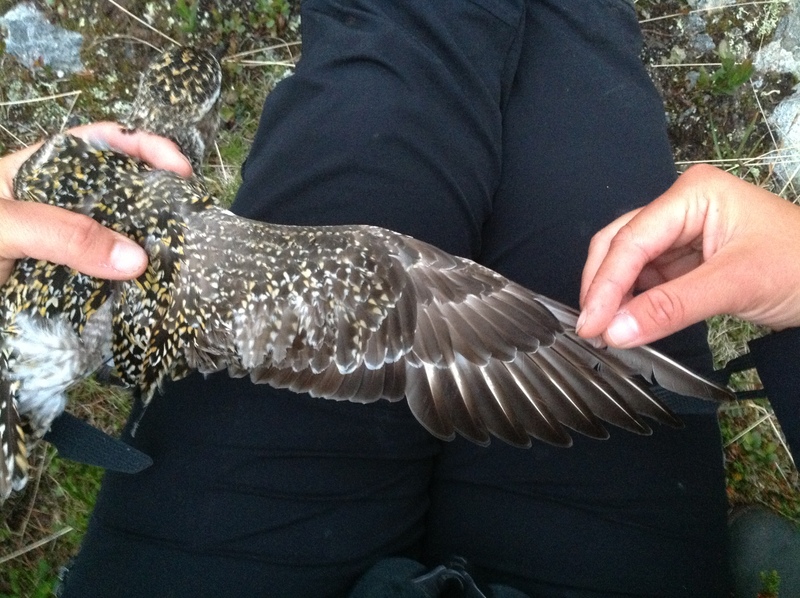 They predate 70% of the Golden plover nests we had located in the study area in just few days. 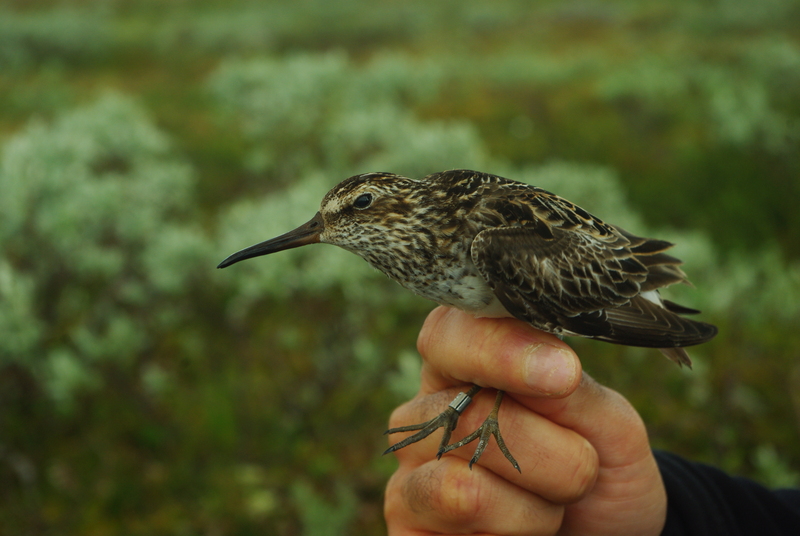 Due to the long period with snow cover in the area, predators had more chances to find wader nests. It is also important to mention that last year was a peak of lemmings (our good friend that is missing now), which made breeding of predators succesful last seasson, increasing their numbers in the area. 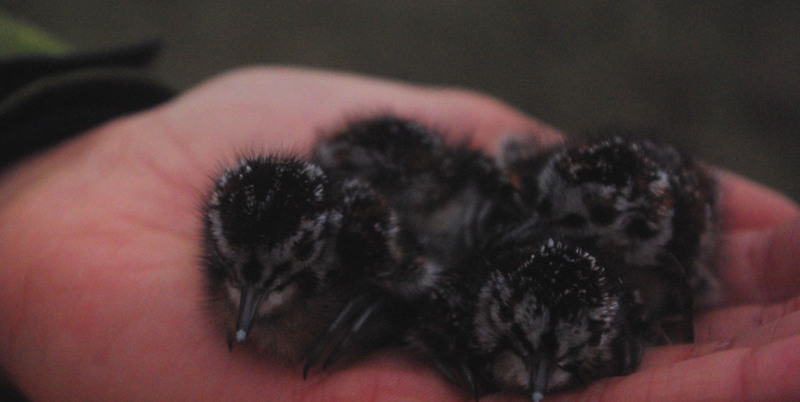 We will come back next year with full batteries to try to recover some more light-loggers and do monitoring of chicks. 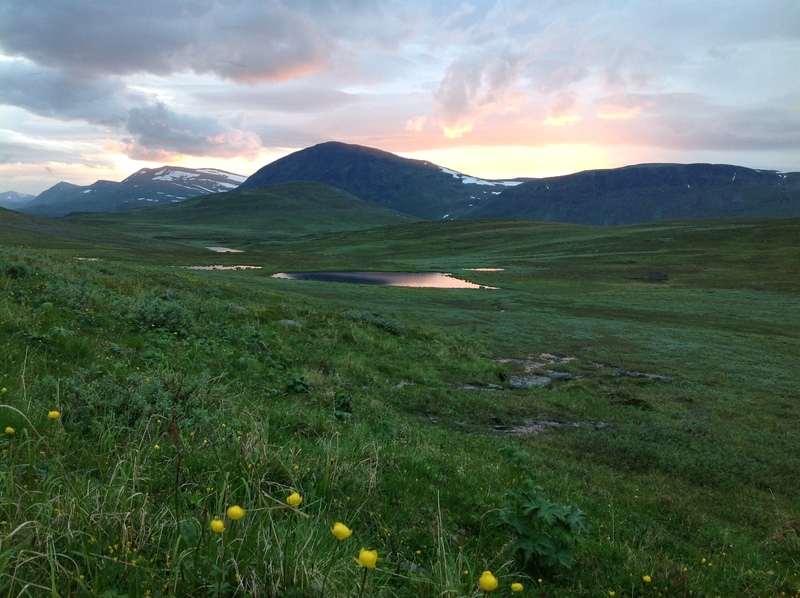 On the 4th of June we went up to another study area, Bjorkfjället. Still with a pretty high snow cover, we found some interesting things, as two alive lemmings! 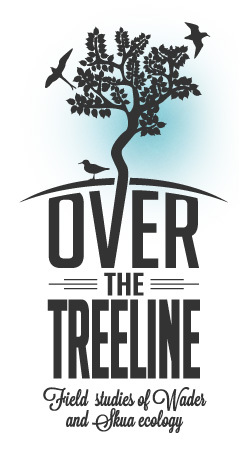 This is a good new, because if the tundra holds some rodent numbers, skuas and owls could eventually breed. Last year was a very high lemming peak year, so it was expected a big decrease on lemming abundance this spring. 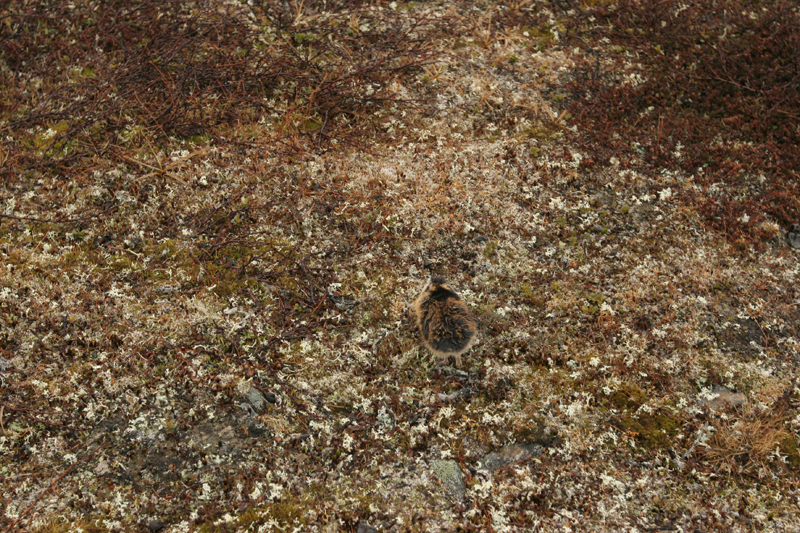 Lemming running on a snow-free patch. 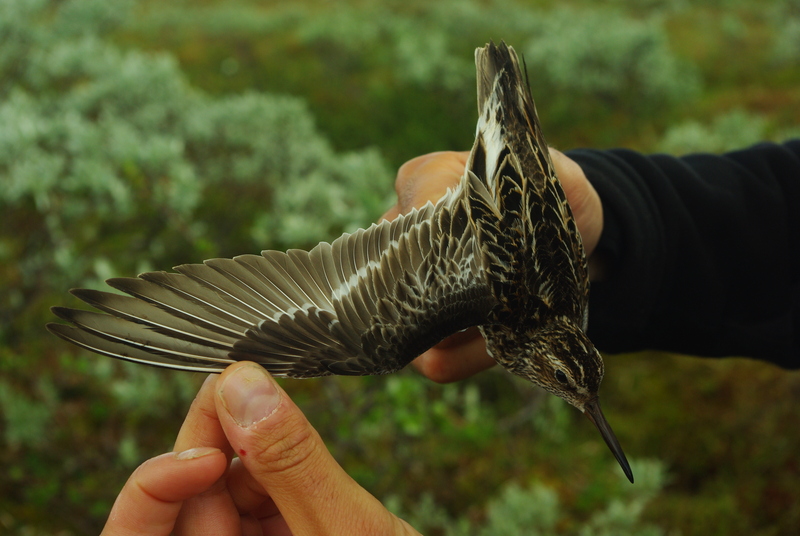 During the day in Bjorkfjället we could also observe 4 female Dotterel foraging and flying by, some Dunlins, 1 Red-necked Phalarope, around 6 Golden Plover pairs, some of them behaving as if they had a nest. Finally, few Long-tailed Skuas were observed but still without any territorial behaviour.